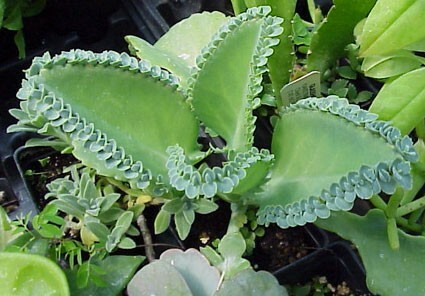 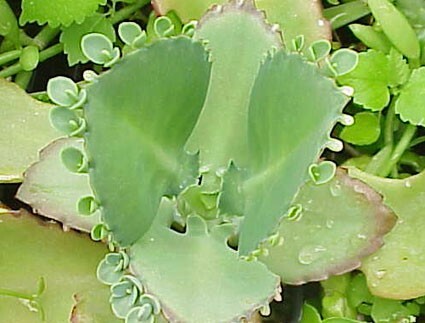 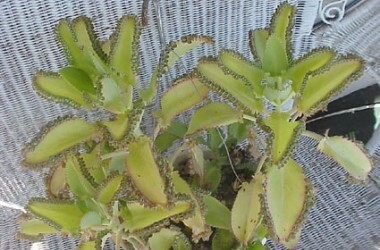 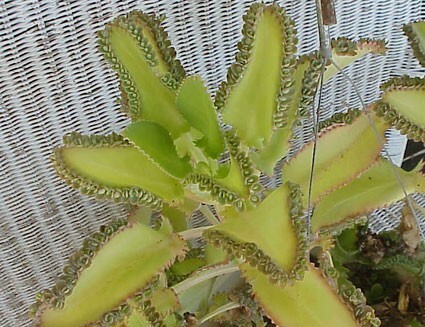 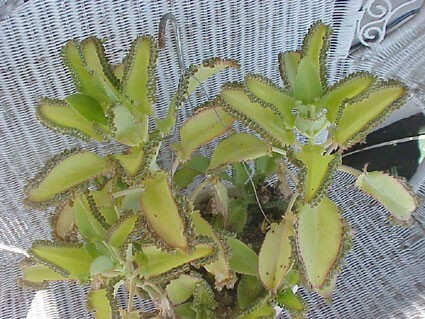 Also known as Kalanchoe HBG 73004, from Huntington Botanic Gardens' distribution. 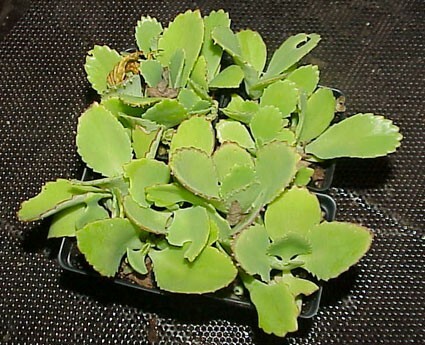 Upright stout short trunks support thick upturned pearly surfaced fleshy leaves (so wide as to be nearly round in outline), each heavily ringed by a margin of cute baby plantlets--every kid needs one. 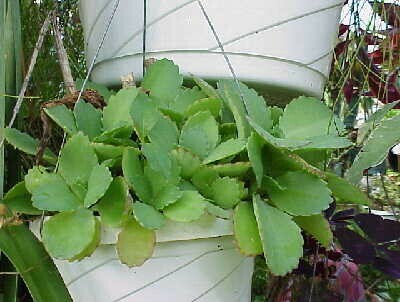 Perhaps the most architecturally pleasing of this category as the foliage is both very compact and very heavily laden with offspring.